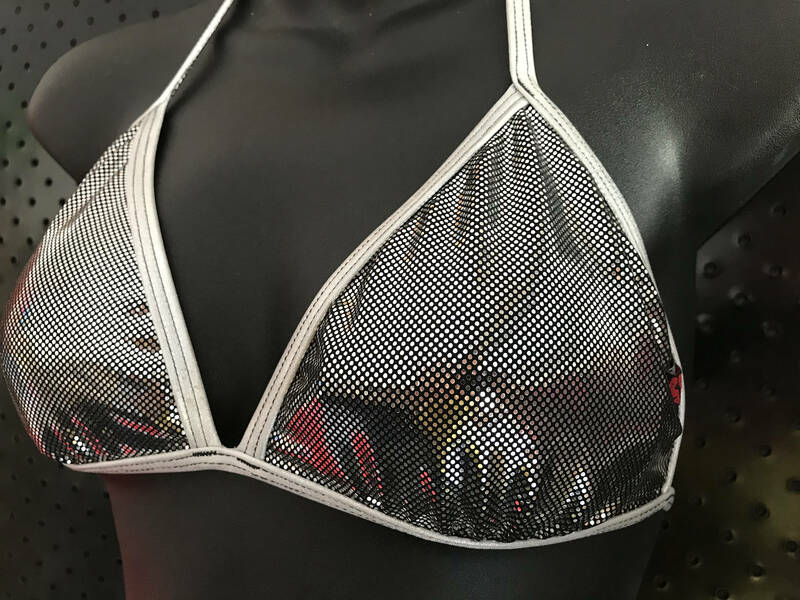 ONEofaKIND ***MissManeater DISCO BALL fixed bikini top super low tie side scrunch bum boutique bikini set ***FREE thong pant! ONEofaKIND ***MissManeater DISCO BALL fixed bikini top + super low tie side scrunch bum boutique bikini set ***FREE thong pant! THIS IS THE ONLY ONE WE HAVE MADE + WILL EVER MAKE!!! We only have 1 of these boutique bikini sets! 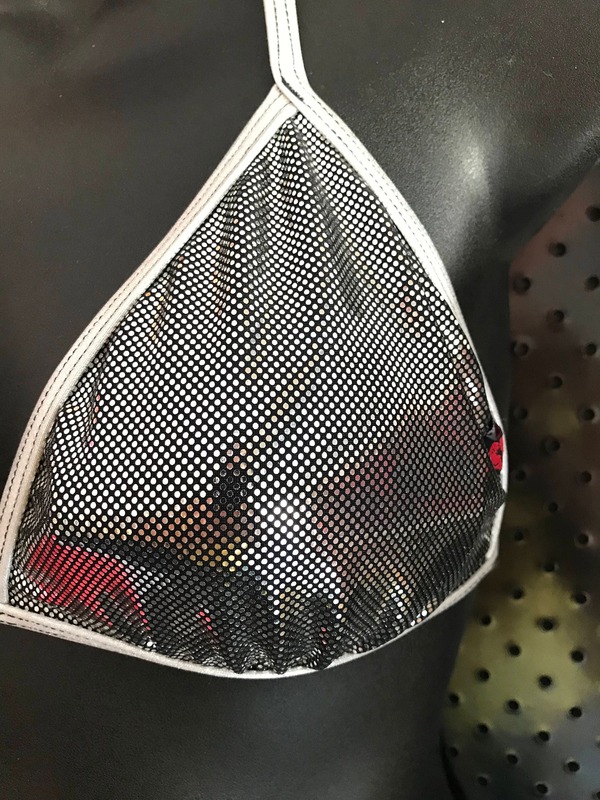 Consisting of a fixed bind triangle top in size MEDIUM. This boutique bikini top features SILVER contrast ties underbust and on the neckline. We have teamed this with our very own SUPER LOW rise tie side cheeky scrunch bum bikini pant. With ties on the waist this pant will adjust to varying hip sizes....so it is all HOW LOW CAN YOU GO?!?! *size EXTRA SMALL = PERFECT fit! *size SMALL = SUPER PERFECT fit! For this ONE OF A KIND boutique bikini set, we are including a tie side THONG pant....FOR FREE!!!! All MissManeater designer swimsuits + boutique bikinis are hand made with LOVE in Australia!